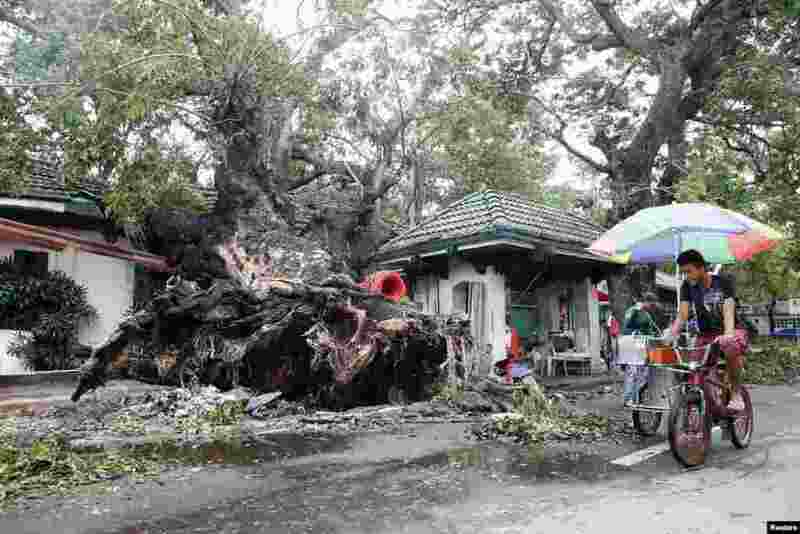 1 An ice cream vendor cycles past a huge fallen tree after an onslaught of Typhoon Rammasun, (locally named Glenda) in Batangas city south of Manila, July 17, 2014. 3 A woman, who said her name was Noraini and that she believed a relative of hers was on Malaysia Airlines flight MH-17, cries as she waits for more information about the crashed plane, at Kuala Lumpur International Airport in Sepang. 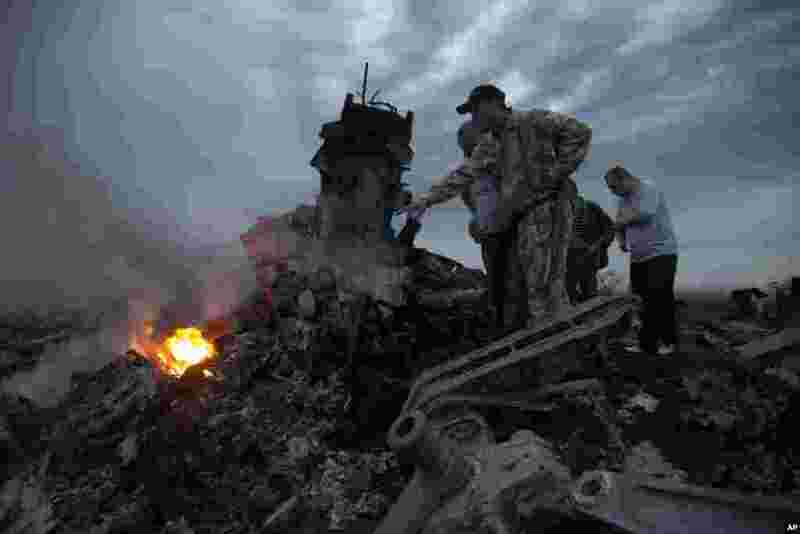 The Malaysian Boeing 777 airliner was brought down over eastern Ukraine, killing all 295 people aboard. 4 People inspect the crash site of a Malaysian Airlines Boeing 777 near the village of Grabovo, Ukraine. Ukraine said a passenger plane carrying 295 people was shot down as it flew over the country, and both the government and the pro-Russia separatists fighting in the region denied any responsibility for downing the plane. 5 In this handout picture released by the Italian navy, migrants sit on a overcrowded boat during a rescue operation off the coast of Sicily. 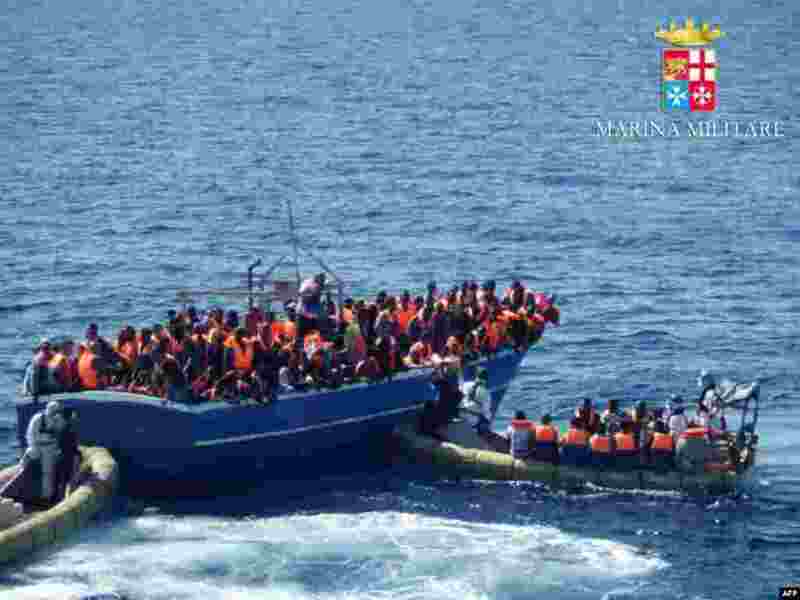 Around 1,000 migrants has been rescued in the last 24 hours by ships engaged in the " Mare Nostrum" operation.